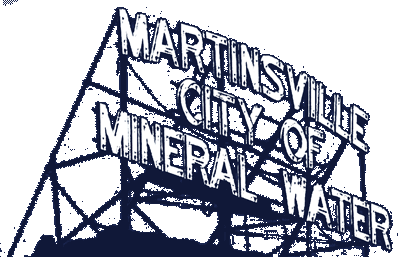 over the last few years in the City of Martinsville. Starting about 2.5 years ago, the Unsafe Building and Hearing Authority (UBHA) has made large steps in the Martinsville community to keep residents and buildings as safe as possible. When Mayor Shannon Kohl brought the idea of the UBHA to the table, she appointed Mike Lanam, Sr., Tom Gray, and Dwayne Metcalf, in conjunction with Building Inspector Brian Love and the Building Services Department, with the intent to seek out structures within City limits that are unsafe and need improvements, or in some cases, torn down. Looking to another Hoosier community with a similar program for guidance, they learned the process was slow and expected to improve about 5 buildings per year. But, things changed for the Artesian team. In 2.5 years’ time, the UBHA has gotten 35-50 structures repaired or torn down, eliminating any safety issues or potential tragedies. The team agreed, noting Love as a very knowledgeable building inspector and “top notch,” according to Gray. In addition to Love, each member of the UBHA team brings his own expertise to the table. Lanam has many years of construction experience and knowledge under his belt, while Metcalf has years of real estate experience, as well as building experience gained through Habitat for Humanity. As a County judge for 32 years and 5 years as a senior judge, Gray oversees much of the legality concerns, ensuring the group is taking action in the correct way. Bring the group together and you have a well-oiled machine and making changes in the community is apparent. When the UBHA sees an unsafe structure that needs attention, the team works with the property owner to take proper action. In most instances, repairs are what needs to be done, but some cases have resulted in a total tear down of the structure. If a property owner can’t take on the responsibility, the UBHA will help them find the best route. In two cases, the City paid for two homes to be torn down, but the group does their best to avoid using City money as much as possible. Another avenue is for an investor to come in and buy the building or structure from the owner. This is what has happened in the Downtown revitalization, where the Artesian Group, LLC was able to pick up many of the building to help improve the community. While the UBHA has been extremely successful in a short period of time, they’ve looked to community members and organizations to help in the times that some owners physically can’t clean up their property. Strides are being made by the UBHA, but it takes others to help when possible, which is why they are asking the community for help this year, just as the Boy Scouts did. The Unsafe Building and Hearing Authority meets the first Wednesday of every month at 7 p.m. at City Hall to discuss potentially unsafe buildings and structures, as well as to speak with property owners. If a resident has a structure he or she thinks may be unsafe, call the UBHA at 765-349-4923 for a free inspection and guidance on the necessary steps to take. For questions, contact the Mayor’s Office at 765-342-2861.